This post looks at the tactics of 5 startups (some pre-launch) who have built huge communities with target audiences. Coconut is a current account for freelancers and self employed people. The team launched their (beta) product on 31st January 2018. All 500 tickets to their launch event sold out rapidly. What communities had they built before launching? Coconut's Facebook group, Coconut Bite, is filled with freelancers (Coconut’s target audience). In this group, members discuss feature requests and freelance tips. The core team celebrate milestones, post product roadmap updates and invite members to product tests. The use of Facebook groups in the B2B space is growing rapidly. Business decision makers spend 74% more of their time per week on Facebook compared to any other form of social media. Make the most of this by creating a Facebook group for your target audience! This is how I personally discovered Coconut. 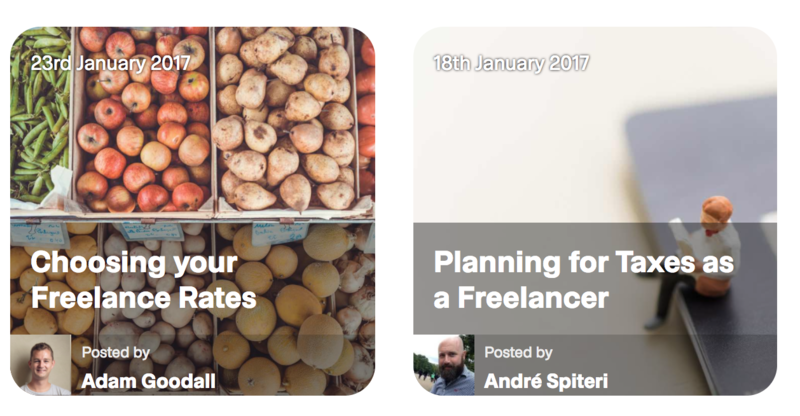 Upon Google searching how to set freelance rates, I came across a useful post on their blog. A well executed blog will have content addressing the questions on a target audience's mind. This helps with SEO and discovery. Coconut's blog does this well. The Coconut team utilized their email list pre-launch by sending friendly emails with a single CTA per message. 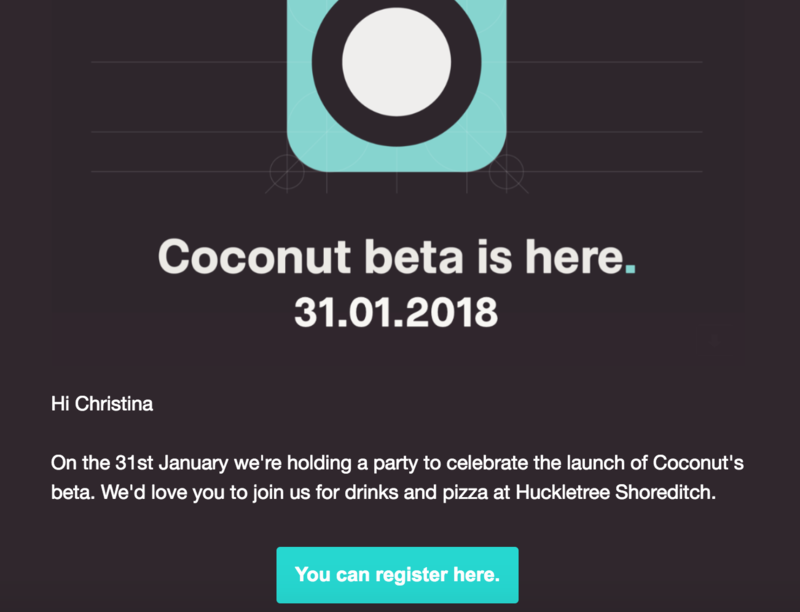 The email offerings included a referral code to become an early beta tester, an invite to join their Facebook group and an invite to their launch party. Page Flows is a growing library of annotated user interface videos recently launched by my friend Ramy. Before this point, he’d created the community, UIMovement, back in 2013 which showcases (for free) UI animations for designers and developers. The UIMovement newsletter has over 18,000 subscribers. Many people from the UIMovement community are now paying Page Flows customers. There is a link to Page Flows from the UIMovement website and in every UIMovement newsletter there is also a link to Page Flows. I asked Ramy a few questions about how UI Movement influenced the launch and growth of Page Flows. How has having your UI Movement community helped with the growth of Page Flows? The idea for Page Flows came from speaking to UI Movement subscribers, so it wouldn't even exist without the UI Movement community. Having people in the community to speak with also helped me understand what sort of messaging and positioning to use when promoting Page Flows. Obviously, the fact that UI Movement is also a traffic source to Page Flows means it directly drives sales. 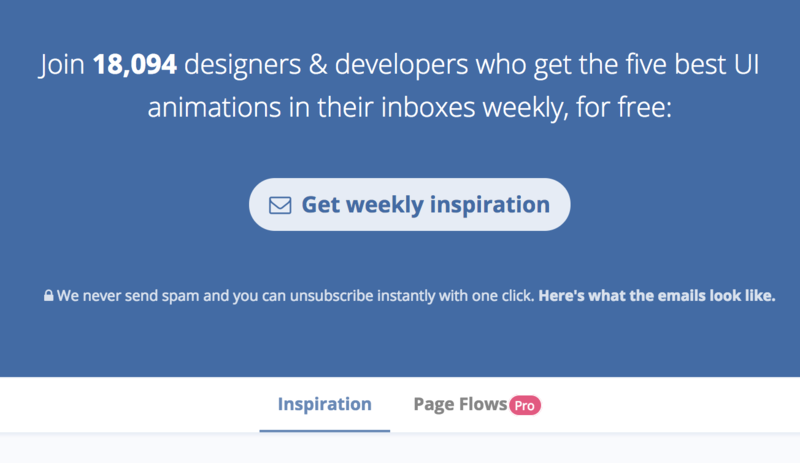 Are many UI Movement subscribers Page Flows customers? I'm not sure exactly how many are, but I would guess it would be between 10 and 20%. Any other comments about building a community before launching a product/service? Other than the obvious benefit of having an audience of potential customers, a community/audience will help you decide whether you should build a product or feature at all. Unbounce (no longer a startup!) is a software company that produces landing pages for websites. At the time of launching, Unbounce already had twenty thousand unique visitors to its blog. The team started blogging a year before they had a product. For more detail about how Unbounce utilized content marketing in the early stages, check this post which delves into ‘how Unbounce got 9800 customers with “ridiculously epic” content’. Keep Productive does not (yet) offer a product but is a growing community of productivity fanatics ran by the awesome Francesco D’Alessio. His YouTube channel (below) where he posts weekly videos about productivity application tips, has over 23k subscribers. In Y1 he had 1000 subscribers and, through consistently posting useful content, the community has seen exponential growth. Keep Productive is now a multichannel community with a YouTube channel, skillshare course, Facebook group and podcast. The level of trust in the community is high; no doubt they’ll be a queue of users when he launches his productivity applications! The launch of SparkToro is being eagerly anticipated by the marketing community. It’s building built by Moz’s founder, and SEO thought leader, Rand Fishkin. Rand posted this heartfelt article announcing his departure from Moz. Being the influencer he is, this news was guaranteed to gain lots of traffic. In that same post, he announced that he was building SparkToro. This is a sweet example of leveraging timing to kickstart a community. The SparkToro Twitter page is auto-building a community; almost 3000 followers and 0 tweets.